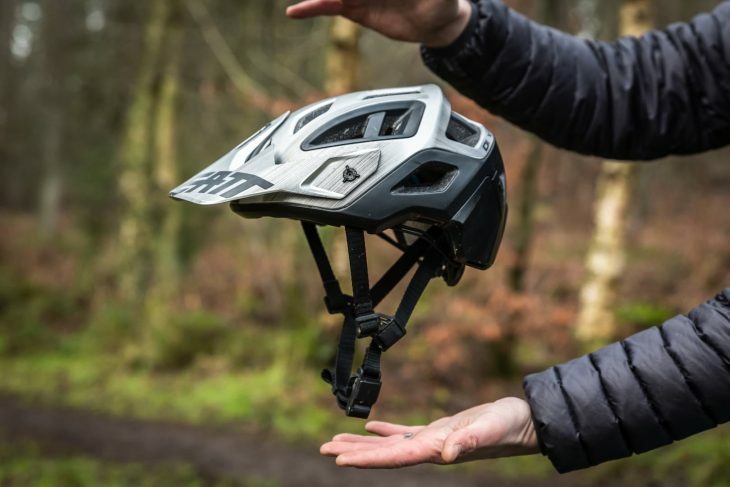 The convertible helmet market continues to heat up, with Leatt throwing its hat in the ring with the DBX 3.0 Enduro V2, which converts between a half shell and a full face helmet with the click of two bindings. Is it the best, or the worst of both worlds? James Vincent has been converting his lid to find out. 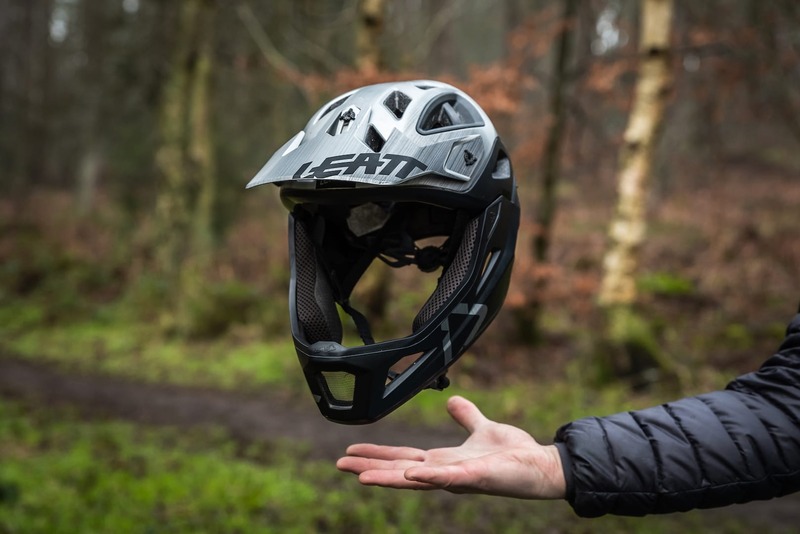 Leatt is a brand with an exceptionally strong history in motocross and downhill racing – the company owes a lot of its success to the Leatt-Brace, which was invented by Dr Leatt back in 2003 and is designed to protect a rider’s neck from excess forces. If you look at the product range, it’s full of kit designed to keep you safe on the trail, and includes body armour, helmets, and riding packs with built in back protection. Along with the aforementioned neck brace, it’s only natural that the brand would make a convertible helmet to cover all bases. 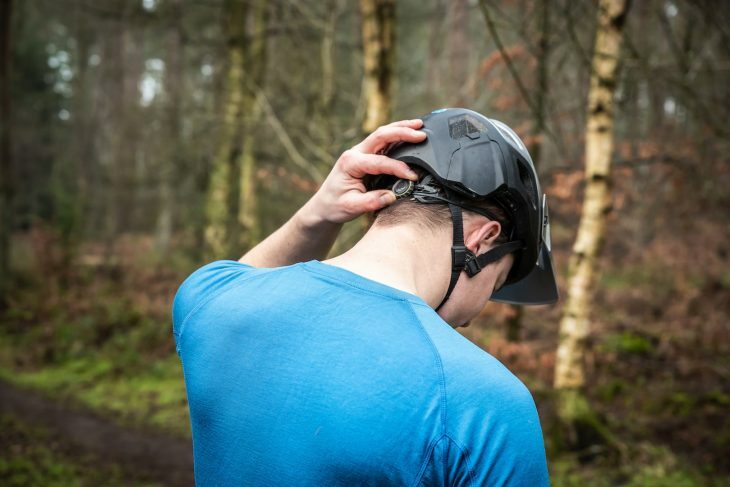 Convertible helmets are designed to give you more choice and flexibility – are you off on a regular XC ride around trails you’re familiar with? Leave the removable chin bar at home and you’ve got a regular half shell helmet. Riding hard on unfamiliar trails or racing an Enduro? Strap that chin bar to your pack and enjoy climbing with no restrictions but get some extra security and protection on the descents. Personally, I’ve never felt the need for full face levels of protection when out riding my home trails in the northern Lake District, so I was intrigued to try this out, see how it compared to my other (half shell) helmets, and whether I was any safer with the chin bar in place. …it transforms into a half shell trail helmet! 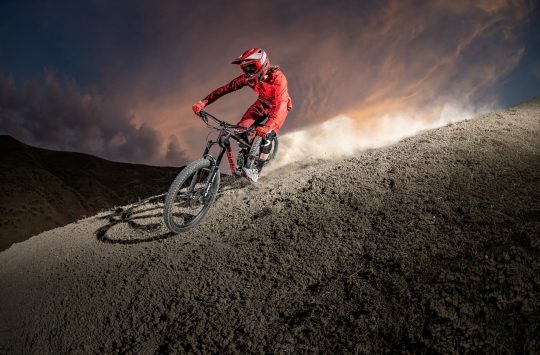 The Leatt DBX 3.0 Enduro V2 (catchy name huh!) is the only convertible helmet in the Leatt range, which is otherwise split roughly 50/50 between full face and half shell helmets. 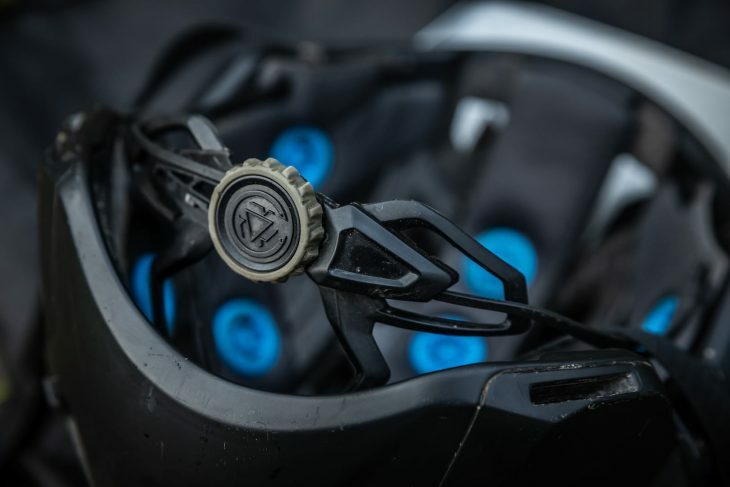 Unlike a lot of current high end helmets, it doesn’t feature MIPS – none of the Leatt range does – but instead uses a proprietary system of 10 blue squishy discs known as 360° Turbine Technology. These blue discs aim to reduce rotational forces and direct impact forces. 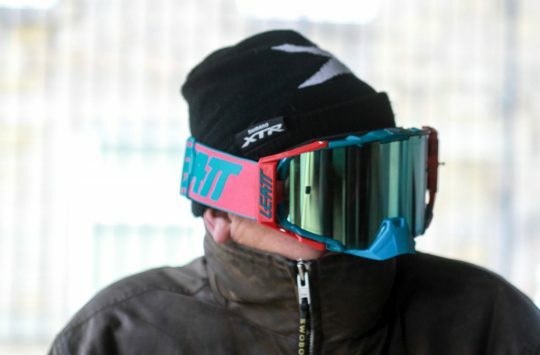 This system is designed to work in a similar way to MIPS and reduce rotational forces from being transmitted to your head (Leatt claims up to a 40% reduction). 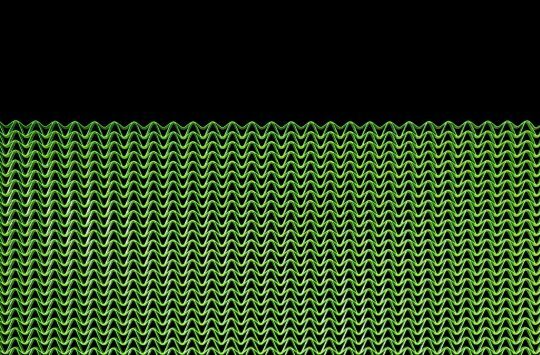 One other benefit of these Turbines, is that they can be compressed and reduce direct forces from being transmitted to your head by up to 30%. So two for the price of one. In addition to these Turbines, there is plenty of foam padding elsewhere inside the helmet and the chin bar, and you also get spare pads in the box. Size-wise, Leatt offers the DBX 3.0 Enduro V2 helmet in Small (51-55cm), Medium (55-59cm) and Large (59-63cm). For 2019, there are four colour options available, including the brushed silver one I’ve been using for the past six months. Rubber jog wheel is a nice touch. The removable chin bar attaches via a couple of clips to the side, but doesn’t wrap completely around the back of the helmet (as per the Bell Super series). Compared to a regular full face helmet this does leave the base of your head feeling a touch exposed, but it does mean that the helmet is pretty unobtrusive when descending steeper trails. While we’re comparing it to a full face helmet, it’s worth noting that the DBX 3.0 is not ASTM certified like the Giro Switchblade or Bell Super DH. If the track or uplift centre you’re riding at specifically requires that level of DH-certification, then you’ll need to look elsewhere. There’s a clasp on either side of the helmet to lock the chin bar onto the main helmet. In half shell mode, the DBX 3.0 doesn’t extend down as far as some other convertible helmets – it’s particularly airy around the ears, but this isn’t a bad thing and aids ventilation. It also looks normal with the chin bar off – some convertible helmets can look incomplete or awkward when in half shell mode, but the DBX 3.0 suffers from none of these problems and even drew some admiring glances while out on the trail. First time I’ve ever had someone comment on my helmet. 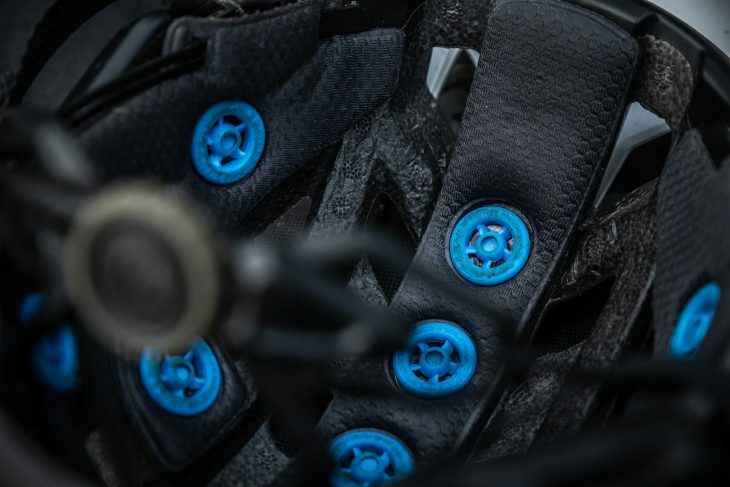 The retention cradle is easily adjustable thanks to a grippy rubber dial, and doesn’t slip about as some other manufacturers’ do. 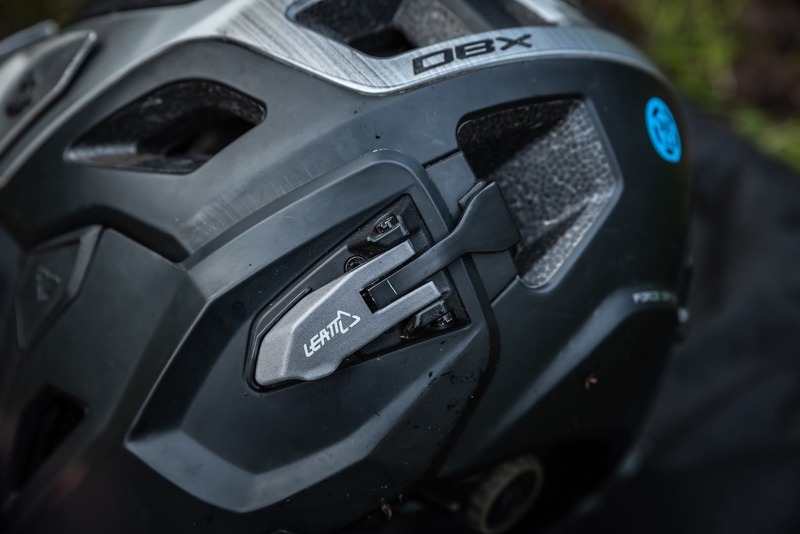 Although helmet fit is a highly personal thing, I found the Leatt DBX 3.0 to be one of the most comfortable helmets I’ve ever worn, both with and without the chin bar. The DBX 3.0 Enduro V2 helmet is easy to adjust in either half shell or full face mode. The ‘On The Trail‘ section of this review is for members only. If you have an account, please log in. If not, you can get access by registering here for free. Review: Gloworm Alpha and X2 Lights - For Night Riders And Wildlife Safaris? FGF 439 | Where Have All The Good Words Gone? At Least We Have The Goods. It’s Fresh Goods Friday 439!